Every now and then all of us like to take a quick break from our stressful lives. What’s better than picking up your smartphone and playing a couple of fun games with your friends to de-stress your mind and make you forget about your worries for a short while. If you’ve been on the Playstore searching for games, you’d know that there are literally thousands upon thousands of games to choose from. 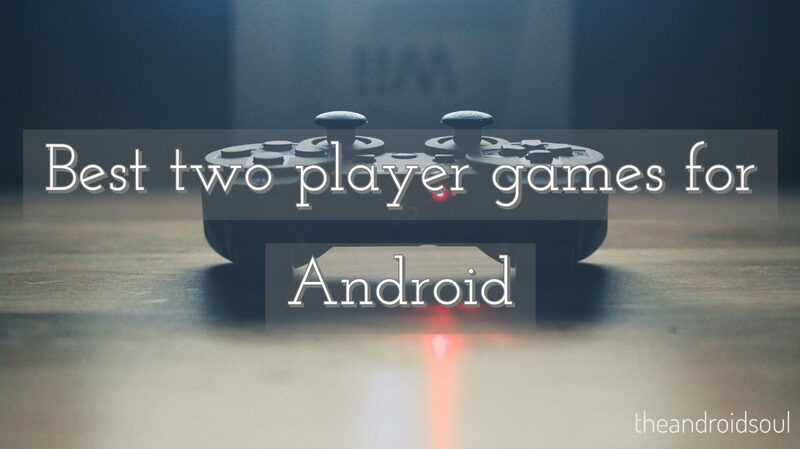 To save you the trouble and the additional effort of searching for a decent game to play with your buds, we’ve done the arduous work of picking and choosing from several hundred games and have come up with a list of the best two player games for Android. Here are our top picks for the best two player games on Android. Fun fact: There are approximately 677,560 games available on the Google Playstore, so now let’s take a look at the best out of the bunch for two players. Dual! is possibly one of the best two player games out there. The gameplay is simple and straightforward. You and your gaming buddy need to download and install the game on your Android devices. Once installed the game allows users to either connect by Bluetooth or WiFi, however, the Bluetooth feature is still in beta and may not work for you. We’d recommend you connect to the same WiFi network or set-up a hotspot. Load the game up on both devices and enjoy shooting projectiles from one device to another. The game graphics are also great and generally, the game feels fluid and bug-free. If you’ve got a couple of minutes to spare, what are you waiting for? 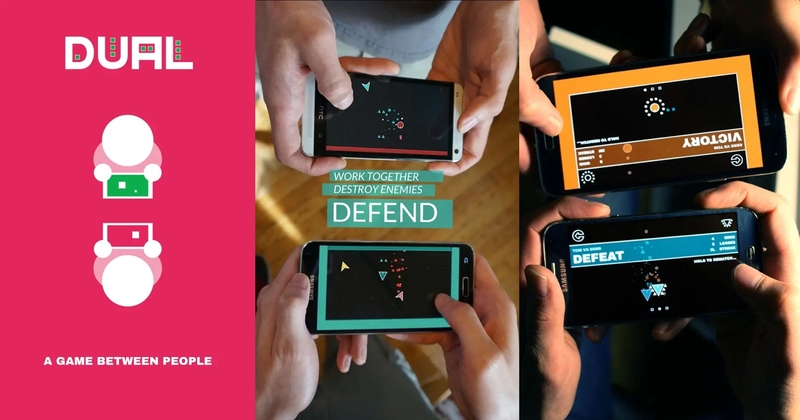 Grab your gaming bud and get glued to the game either battling each other or working together to defeat the enemies. Table Tennis Touch offers the best Ping Pong experience on smartphones hands-down. If you’ve ever played Table Tennis, you’d know how enjoyable the game actually is and now you get the opportunity to play the game on your smartphone as well. The game offers several different modes such as Career, Mini-game fun, and Multiplayer mode too. This means you’d not get easily irked while playing the game as there are several different ways to play. While on the multiplayer mode you have the ability to play against your friends at any time. This game definitely deserves to be downloaded if you’re a Table Tennis fan. Funny Soccer unapologetically has old school 8-bit style graphics which is what makes the game even more fun to play with. 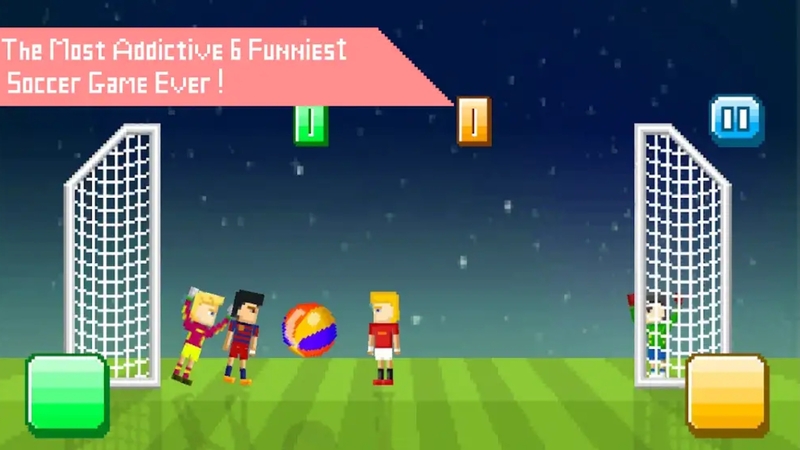 Funny Soccer is probably one of the most simple games out there. You don’t even need two devices to play the two player game as all you need is to load the game on your device and call your friend over to have a soccer match like no other. Simply tapping your side of the team button will make the character jump about and kick the ball to the other side to score a goal as your 2nd player tries to do the same. While this may seem odd right now until you try the game you’d never really know how addictive this game actually is. The game isn’t meant to give your brain a workout, it’s actually meant to be a fun and quick to play game. Here’s a game based on an outdoor sport. We know nowadays it’s hard to find time to go out into the real world and play a sport, everyone’s busy and could barely find 30 minutes to spare which of course isn’t enough to go out and play a sport like Lawn Tennis. Ultimate Tennis has great graphics and the game also is built with good physics in mind. The gameplay is almost as close as you’d get to play Tennis in real life. In the game, you can dash, smash and dive just like in real life and go head to head with your friends as well with the games multiplayer mode. Ultimate Tennis also allows you to tweak and customize your player’s equipment and skills to the smallest detail. Admit it, Air Hockey is one of the best past-time games ever. We’ve all had a swing at the game once in our life at least and if you’ve never had the chance to play Air Hockey, now’s the time to experience the game on your smartphone. Glow Hockey 2 offers a cool and simple way to play. Just like the Funny Soccer title we’ve mentioned above Glow Hockey 2 also offers a two player mode on the same device. While you use one portion of the screen, get your friend to stand over at the other end of the device and have a go at the game. The one who manages to land the puck in the goal the most times wins. It’s a quick and fun game for those times when you’d like to be competitive. The best part is that no internet connect is required to play the game. Fling Fighters is easily one of the most fun games to play with your mates. As the name suggests you can dual your friends by flinging items at them to cause damage while also trying to jump around trying to dodge incoming attacks and traps from your foe. The game offers an online multiplayer mode as well as a local multiplayer mode to challenge your friends offline. Fling Fighters offers 40 different characters to choose from, therefore, you’d have the ability to try out new characters and abilities while you battle it out with your friends. So, here’s a game that we’ve probably all played in our childhood. Ludo is one of the best board games available and could be played by kids and adults alike. 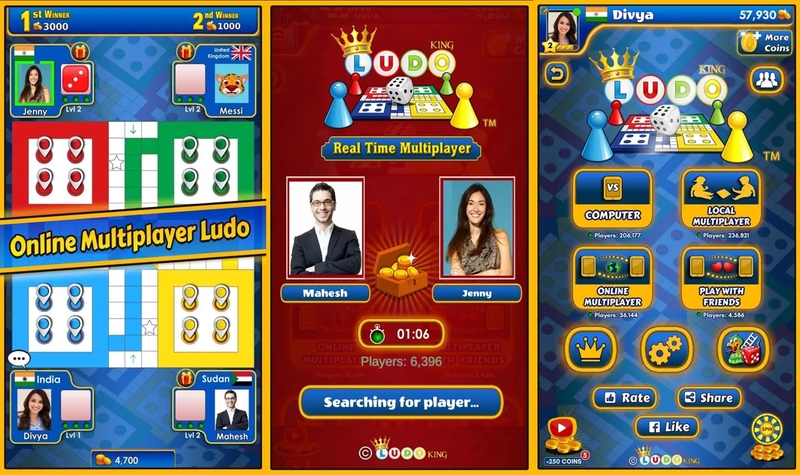 Ludo King offers the best experience amongst all the Ludo apps available on the Playstore which is why the game has over 100 million downloads. You can play against a friend one-on-one or even play against random people online. While the game offers everything you’d expect from a Ludo board game, there are several cool features added too such as animated emoji’s to show your frustration, love, or other emotions to your opponent while playing against them. Here’s another outdoor sport based game for you and your friend to try out. Badminton is fun to play and we know there’s a possibility you’ve at least played it once. Badminton League offers a great 1 vs 1 online mode or you could create your own tournament along with your friends. The graphics and physics of the game are great while offering a dynamic gameplay. The controls are a bit gimmicky but once you get the hang of it you’d be ready to smash the shuttlecock left right and centre within no time. If you’ve visited an arcade gaming centre in your life, you’ve definitely played MORTAL KOMBAT at least once. What’s even more exciting is that MORTAL KOMBAT is now available to play on your Android smartphone too. It wouldn’t be an exaggeration if we said a whole generation of gamers has probably played MORTAL KOMBAT more than once. MORTAL KOMBAT X isn’t for the weak-kneed folks out there, the game features blood and gore, hence, it’s advisable for children to play the game with parental consent. The game also features old-school legendary characters from the past like Sub-Zero, Kitana, Johnny Cage and dozens of others. MORTAL KOMBAT X also brings forward a 1v1 battle mode for going head to head with your friends. Real Boxing offers the best boxing experience on your smartphone. The graphics are also excellent and definitely one of the higher-end graphics games on the list. The game has to basic modes career mode or multiplayer mode. The multiplayer mode allows you to go up against other players around the world or let you settle it with your friend on who’s the better boxer without having to get yourselves all black and blue. Real Boxing also has an arcade-style mode where the controls and camera angle are much like what you’d find on an arcade gaming machine. If you love sport based games, Basketball Stars has got to be a game you try out. It offers a 1v1 multiplayer mode for you to dribble, shoot, score, and win against other players around the world. Basketball Stars also lets you change the style of your character by selecting different outfits and items. The gameplay is simple, score more points than your opponent to win the game. The game offers decent graphics which makes it even more enjoyable to play. 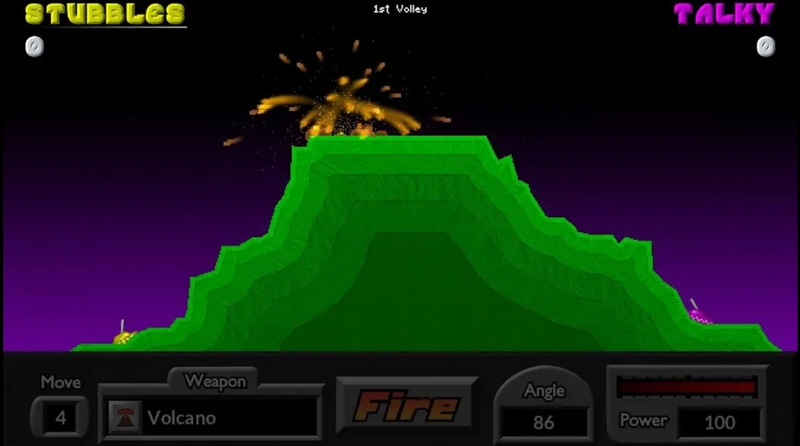 Pocket Tanks is easily the most interesting and fun to play strategic based games in our opinion. The game was exclusively a PC based game a couple of years ago and finally, we’ve got the chance to play the game on our Android devices. Pocket Tanks has offline as well as online gameplay modes to let you battle your friends. The gameplay is simple, you need to destroy the enemy tank before they destroy you. There are several different weapons to choose from, all of which deal variable damage. So go ahead, melt your opponent with napalm, shoot them with the jackhammer or destroy them with the heatseeker missile. Much like the previous game on the list, Warlings: Armageddon also offers a PvP battle experience based on strategy. You can dual with your friends or other players across the globe. You can connect via Bluetooth to play the game with your friends too. There are 29 different weapons to choose from including a scorching flamethrower. The game has 10 totally destructible maps to choose from to battle your opponents on. A few years back Beach Buggy Racing was one of the best games you could find on the Google Play Store (APK). It still is a fun game to play with your friends, if you’ve got a knack for playing racing games. The game offers a multiplayer mode, too. The graphics are decent and the game offers many customizations for the vehicles. There are several different characters also to unlock and choose from which all offer a different ability to perform while in game. You can make your opponents dance and swerve off the track by using the disco ball or shoot your enemy ahead of you with a barrage of carrots. What’s your favorite Android game to play with your friends? Let us know in the comments below.